Every year, Ridgeway Community School has an art show to showcase the work that the children in Kindergarten through Grade 5 have created over the year. 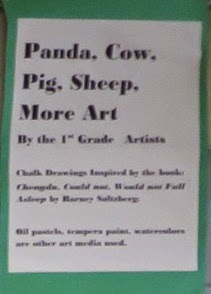 Art Show opened May 6 and continues through May 28th. 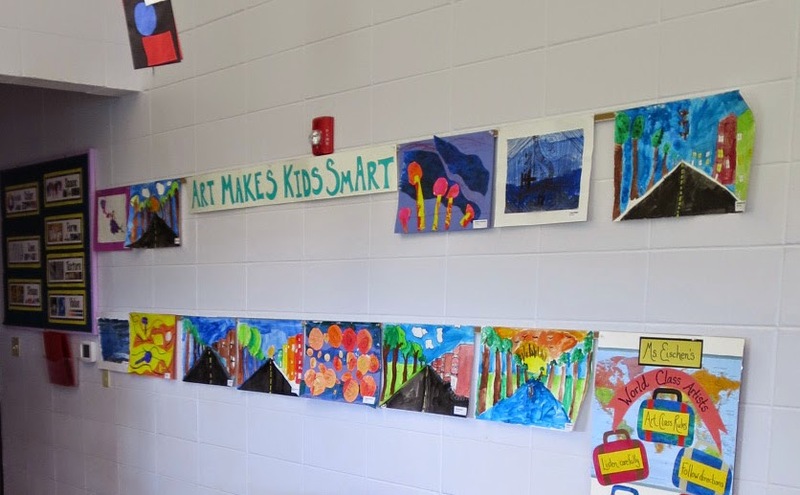 Art fills the halls, the library, the gymnasium and the art room. 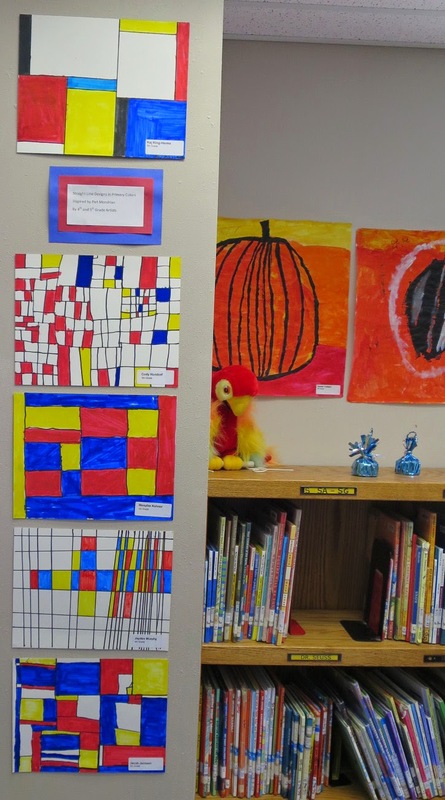 The art is bright and colorful and happy. 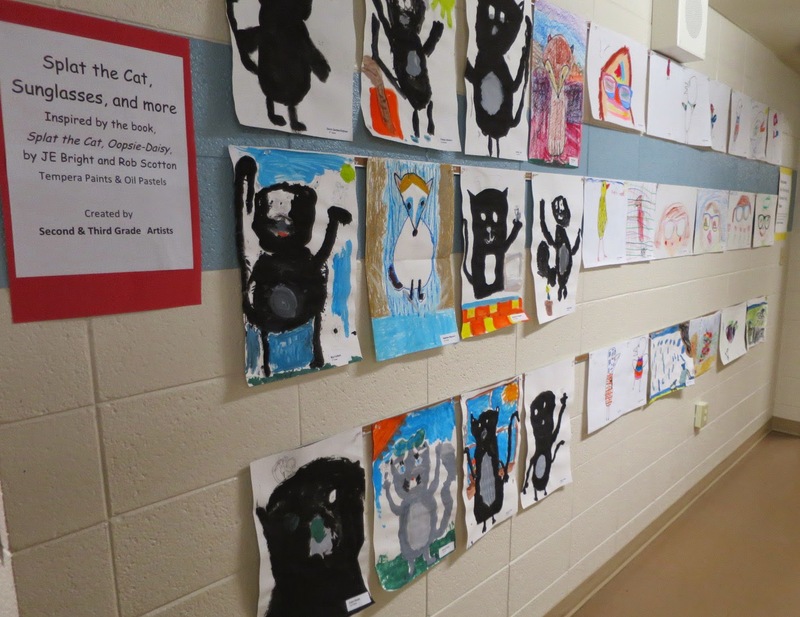 These are the bright faces of Ridgeway Community School hanging in the library. 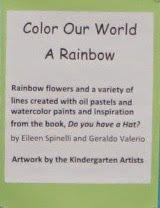 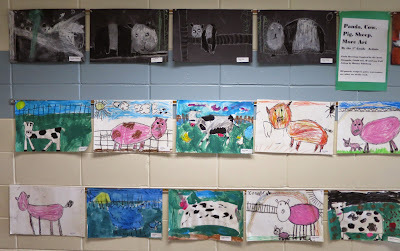 The 1st Grade created pandas, cows, pigs, and sheep with chalk pastels, tempera paints, oil pastels and watercolors. The second and third grade art was Splat the Cat, foxes, and sunglasses portraits. The fourth and fifth grade students created one point perspective, value studies from light to dark in one color, and an artwork inspired by Friedens Hundertwasser. 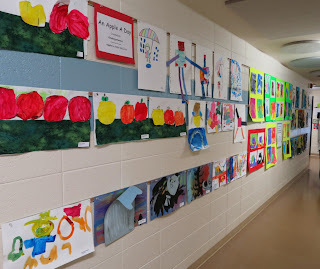 Lots of art in the halls. 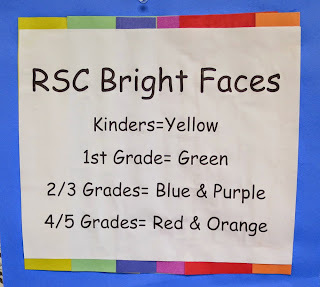 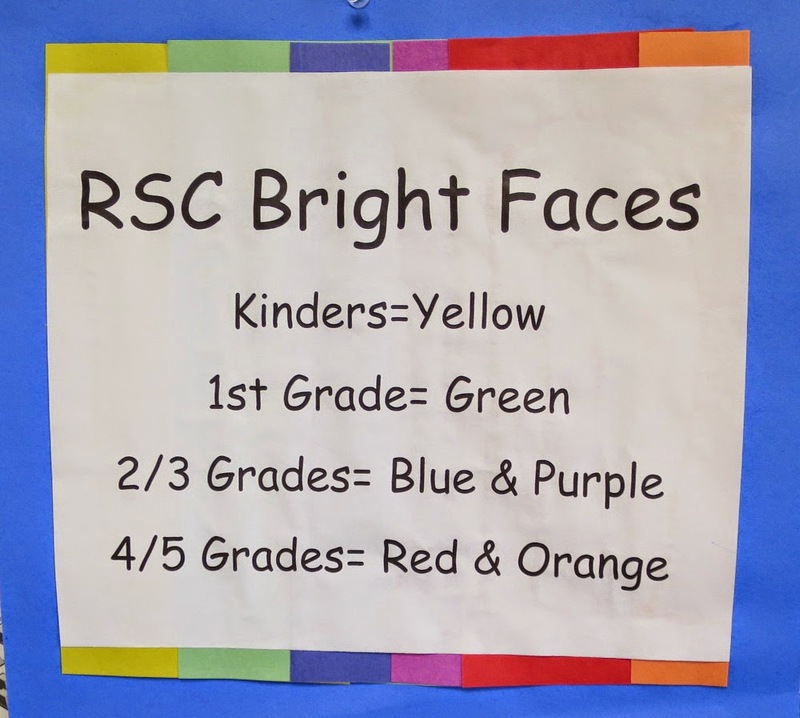 The Kindergarten art on the front bulletin board. 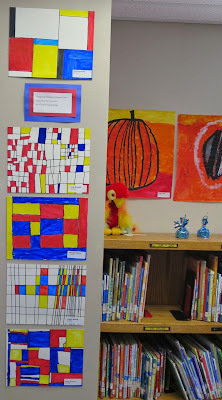 Art inspired by Piet Mondrian by the 4th & 5th graders. 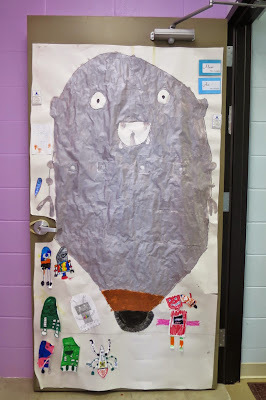 A collaborative robot on the Art/Music room door by Tyler and friends.